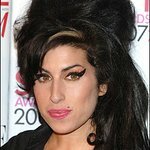 VH1’s beloved, popular franchise, “VH1 Divas,” has announced a special tribute to Amy Winehouse at this year’s VH1 Divas Celebrates Soul with performances by Sharon Jones & The Dap-Kings, Florence Welch (Florence + the Machine) and Wanda Jackson. “VH1 Divas Celebrates Soul” premieres Monday, December 19 at 9 PM/8c on VH1. The tribute will reflect Winehouse’s contribution to modern, London soul music. Some highlights of the tribute will include Sharon Jones & The Dap-Kings performing “You Know I’m No Good,” and Florence Welch (Florence + The Machine) and Wanda Jackson will perform her song “Back to Black.” The Dap-Kings contributed a number of tracks for Winehouse’s Grammy Award-winning album “Back to Black.” In addition, Nas, who collaborated with Winehouse on the first single of her current posthumous album, will introduce the tribute medley. “VH1 Divas Celebrates Soul” will bring together some of the best singers across the globe, men and women alike, to honor the soulful cities that inspired these divas and their art. The headlining “divas” were announced at an earlier date including Mary J. Blige, Kelly Clarkson, Florence + The Machine, Jennifer Hudson, Jessie J, Jill Scott, Chaka Khan, Erykah Badu, Sharon Jones & the Dap-Kings, Boyz II Men, Estelle, Marsha Ambrosius, Travie McCoy, Anita Baker, Mavis Staples, Wanda Jackson and Ledisi. Guest presenters will include Dolly Parton, Queen Latifah, Terrence Howard, Nas, Common and La La Anthony. 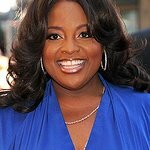 In addition, Martha Reeves (Martha & The Vandellas) has just signed on as a performer and Archie Panjabi and Sherri Shepherd have signed on as presenters. The cities honored include: Chicago, Detroit, London, Memphis and Philadelphia. Accompanied by one of the most exciting groups of modern soul, The Roots, with Questlove and Adam Blackstone as musical directors, each ‘diva’ will pay tribute through not only their own soul-inspired songs, but some of the greatest classics that have shaped a genre. In addition, for the first time, the “VH1 Divas” red carpet will be livestreamed on VH1.com on Sunday, December 18 from 5-7pm ET (#VH1DIVAS). Sponsored by Samsung and hosted by VH1 personality La La Anthony, the livestream will provide fans an unfiltered front-row seat to all the red carpet action and will feature real time interviews with entertainment’s biggest stars. Beginning Monday, December 19, fans can view a curated red carpet highlights video on VH1.com. As in previous years, this edition of “VH1 Divas” will benefit the VH1 Save The Music Foundation, a non-profit organization dedicated to raising awareness about the importance of music education in a child’s life.